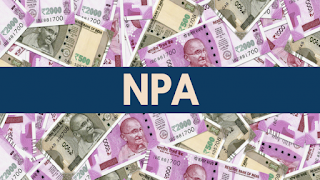 The loans and advances given to bank's customers on which the customer doesn't pay either interest or part of principal or both are bank's Non-Performing Assets (NPAs). 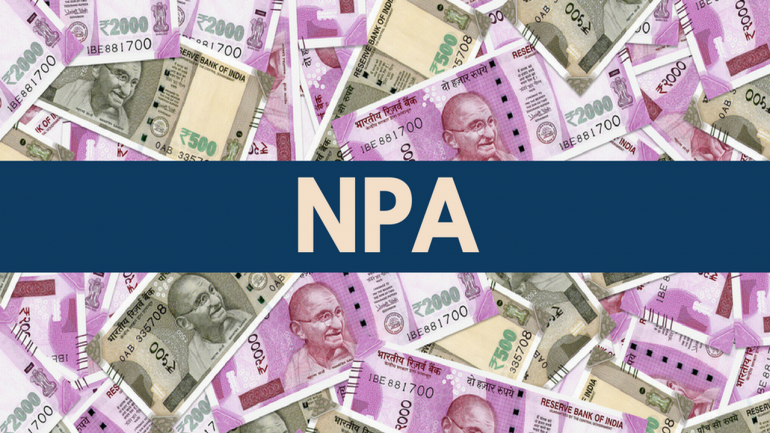 RBI defines NPAs as terms loans on which interest or installment of principal remain overdue for a period of more than 90 days from the end of a particular quarter. This helps to measure the potential losses in relation to the size of the economy. This is especially useful in cross-country comparisons, given that countries are at different levels of GDP. However, this measure does not indicate whether banks are able to handle the NPAs with their own capital. This helps to understand the fraction of bank loans that has turned bad. This method suggests that the problem of NPAs can be solved if the banks start giving out more loans as this would subsequently make the NPA ratio smaller. This method assumes that there is no weakness in the lending process of bank and this problem arises due to external factors. The Indian economy was witnessing a boom between 2000 -2008 and during this periods banks lent exclusively to corporate. However, the profits of corporate started falling due to slowdown in the global economy. There were lot of delay in environmental related permits affecting power, iron and steel sector. The banks had a weak lending system as they used to lend without proper analysis of financial status of its customers. The bankruptcy code in India was very weak that made the process of loan recovery very difficult. The contingency planning at the bank's end was poor with no risk management. 'Mission Indradhanush'was launched to make the working of PSBs more transparent and professional. RBI introduced number of measures which include tightening the Corporate Debt Restructuring (CDR) mechanism, setting up a Joint Lenders' Forum, 5:25 scheme and Strategic Debt Restructuring (SDR) scheme. The Securitisation and Reconstruction of Financial Assets and Enforcement of Security Interest (SARFAESI) Act and DRT Act have been amended to make the recovery process more efficient and expedient. Promulgation of an Ordinance to amend banking laws to speed up recovery of bad loans. Amendments to the Banking Regulation Act in order to give RBI more powers to monitor bank accounts of big defaulters. RBI increased minimum capital requirement for Asset Reconstruction Companies to Rs. 100 crore from Rs. 2 crore earlier.